Dejectedly, you decide not to give up on your quest for a real tub of peanut butter, and off you are , back to the supermarket to try a different tub from a local manufacturer. Again, the experience is the same as above leaving you to the assumption that peanut butter is a product that cakes. However, you do wonder whether the expensive imported Skippy Peanut butter cakes, but you hold off - money is a limited commodity and there are limits to how lavish one can be. A few months later, a relative is back from the United States - a country wrongly referred to as America, the same way that people visit "Africa". He keeps talking of the tasty "American Garden" food additives - barbecue sauce, ketchup. Americans and their manufactured food! A few weeks later, as you are buying Tuskys bread, you notice that the food section spots the American Garden brand. American Garden peanut butter costs quite significantly higher than other brands, but what is a man on the quest of peanut butter got to do? It does not disappoint, instead, it lives up to the image of the American dream. American Garden peanut butter tantalises the taste buds - Primary and high school reader, please note that and its usage, it will earn you marks in your composition - and unfortunately, it does not cake at all. If you ever move into the middle class and acquire a taste of one of our key exports, coffee, you will learn that Kenyans can barely make coffee, unless you are in an establishment that caters mostly for tourists. Sasini manufactures coffee, though the taste is wanting. 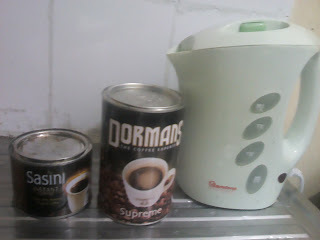 Dormans does a good job with their instant coffee which carefully notes that it is "Packed in Kenya". I have one old shoe brush that is quite firm, though its price sticker is worn out , and I sadly can't tell the manufacturer. Recent attempts at buying shoe brushes branded TeePee and Algai-or-something have led to disappointing products that barely withstand their first tin of shoe polish. I remember buying the first shoebrush more than three years ago, which I purchased for a pair of brown second hand shoes that I bought from a pair of miraa chewing Meru tribesmen at Githurai roundabout - a place where pocketing both hands did not guarantee that money inside your trouser pockets would not disappear right under your nose. The used pair, despite been almost worn out, lasted three years as the sole pair I owned, till a point that I replaced them with the infamous Bata pair that cost me an arm , a leg and had me paying through my nose, simultaneously. I did not know that the guarantee for a shoe that costs 6 times your previous pair was that it would start leaking in less than 6 months. Bata is not the only local outlet that imports low quality goods. 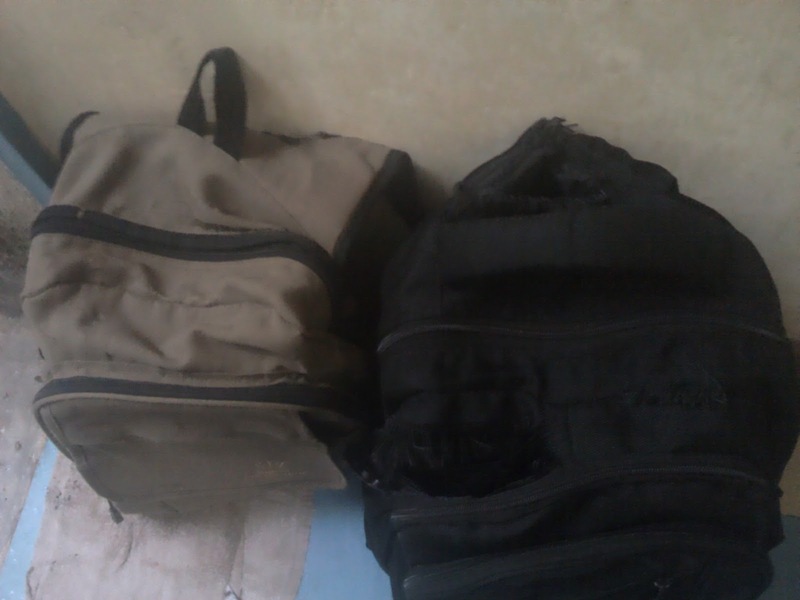 I own two Kings Collection bags that bring out the meaning of thread bare in less than an year. This is even more embarrassing when in the numerous security checks in Nairobi, the guards can comfortably peep into your bag without you opening the zips. Poor local outlets, they seem not to be in a position to control the quality of their goods, till you purchase a Ramtons electronic. Ramtons is a Kenyan brand, though the manufacturing is done by the Chinese. Despite its affordability, Ramtons appears to be of good quality. There is an old Ramtons electric jug in the office that boils water every day, without fail. I own a Ramtons jug and iron box - which are still as good as new. Reminds me of an Elekta jug that broke down every few weeks to a point I threw away the jug barely an year into it's three year warranty. I recently met the Managing director of Kenswitch, who advised me that our exchange rates woes were due to huge importation fuelled by a growing middle class and easy availability of loans to fund importation of products.The Central Bank has decided to make loans more expensive, thus making sure if you borrow to import, you would need to sell at a higher price to fewer people and recouping your loan would be difficult. However, that's not the main explanation behind hiked interest rates - I am no economist. I usually buy new products/brands in a small quantity, to avoid being a victim of manufacturers and retailers who care more about "margins" than brand quality. I punish culprits by not buying their brands, and I do not understand why any one else would fork their hard earned cash for what is essentially stuff whose quality resembles the contents of a sewer.